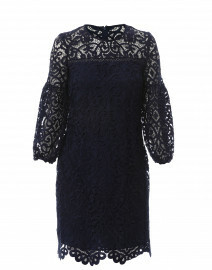 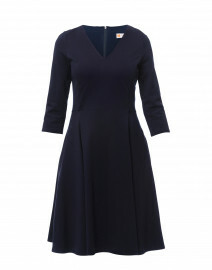 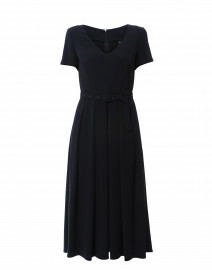 Peserico's dark navy crepe dress has timeless appeal. 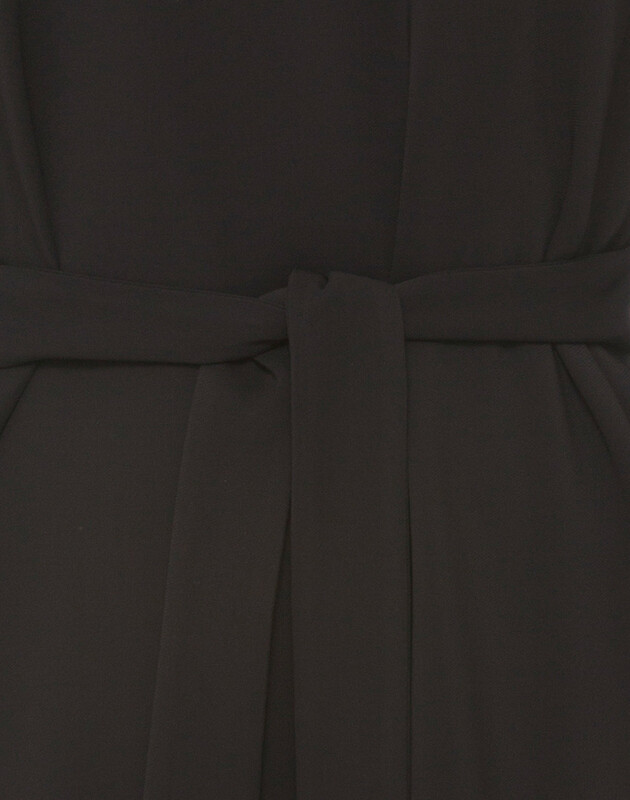 It’s crafted in Italy with a round neckline and a fabric belt which can be tied at the waist to accentuate the flattering cut. 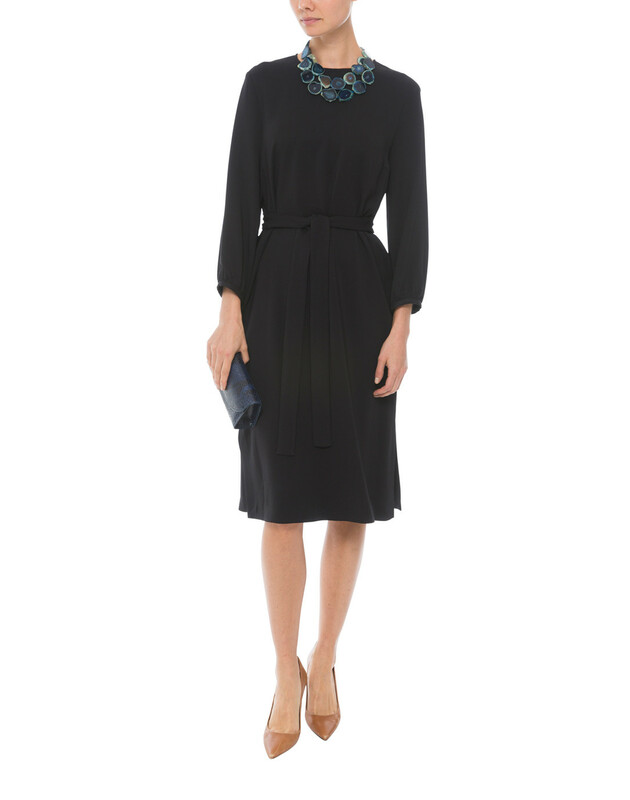 Style it with a beaded necklace and pointed-toe pumps for a classic, chic look. Length 40" 40.5" 41.5" 42.5" 43" 43.5" 43.5"
Shoulder Width 14" 14.5" 15" 15.5" 16" 16.5" 17.5"
Bust 32" 36" 37" 38" 38" 40" 42"
Waist 31" 32" 32" 35" 36" 37" 38"
Hip 37" 39" 40" 41" 43" 45" 46"
Sleeve Length 18" 18" 18.5" 19" 19" 20" 20"
Slit Length 8.5" 8.5" 8.5" 8.5" 9" 9" 9"